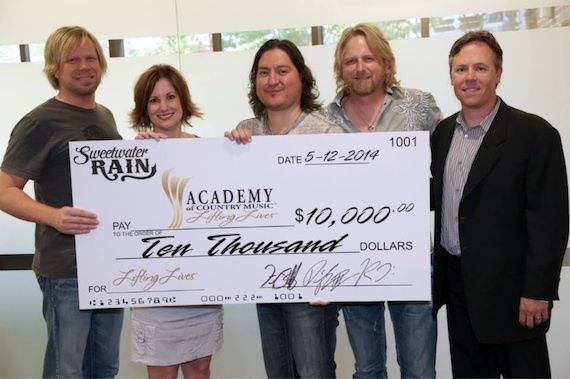 Rising Country music trio Sweetwater Rain recently presented ACM Lifting Lives® with a generous $10,000 donation – the second $10,000 donation the band has given to the charitable arm of the Academy of Country Music in the past year. ACM Lifting Lives President, Lori Badgett, accepted the gift on behalf of the charity. Pictured (L-R): Fred Stallcup, ACM Lifting Lives President Lori Badgett, Danny Rivera, Thomas Hewlett, Curb Records VP of Marketing, Jeff Tuerff. Photo: Randi Radcliff/Courtesy of ACM Lifting Lives®. 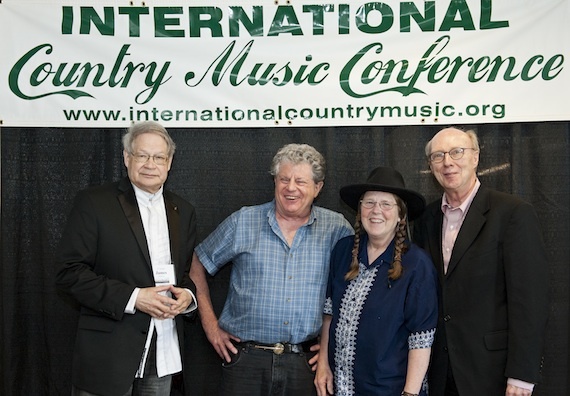 The 31st Annual International Country Music Conference was held at Belmont University on May 22 through 24. Hosted by Belmont Professor of Music Business Don Cusic and Tennessee Technological University Professor James Akenson, the conference featured a special panel on the late CMT Editorial Director Chet Flippo.